Mrs. Caroline Graham age 54 of Raeford, North Carolina was born on March 24, 1965 to the late Mr. Bozie Locklear Jr. and the late Mrs. Barbara Jane McMillan Locklear in Robeson County, North Carolina. 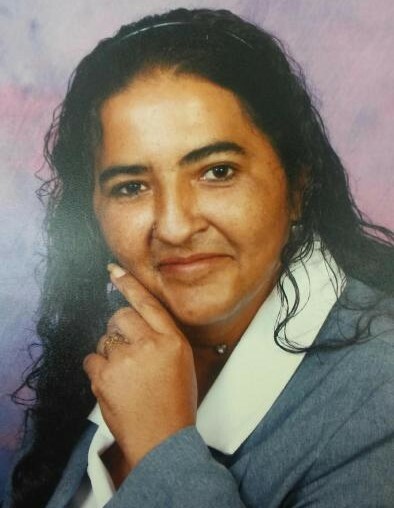 She departed this life on April 04, 2019 at her residence in Hoke County. Along with her parents she was preceded in death by three brothers Millard Locklear, Tony Locklear and Donald McMillian. She leaves to cherish her memories her husband Jerry Graham, two brothers Marvin McMillian and Crystal Bell of Maxton, North Carolina, Sherman Locklear of Pembroke, North Carolina, her nephews Ricky McMillian, Brian McMillian, Joshua McMillian, Millard Locklear Jr., Daniel Locklear, Millard Locklear III, and Nakoma Locklear, her nieces Briana McMillian, Jeanette Locklear, Summer Locklear, Winter Locklear, a special sister Jennifer Locklear and a host of other relatives and friends.